Description: DERP, HERPA-DERP, DURRRRRRR! I'M A FISH! 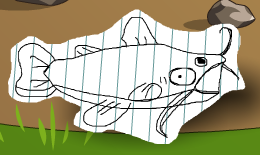 Note: Also see Derp Fish extra Derp. Thanks to Zheenx and 1c3 r3b0rn.